In September 2018, the Tryon International Equestrian Center will host the Fédération Equestre Internationale (FEI) World Equestrian Games. For thirteen days, nearly 500,000 people from over 70 countries will travel to Tryon to watch talented athletes compete. The equestrian center is building hotels to accommodate the anticipated influx of thousands of tourists. Avoid the crowds. Book your stay at the nearby Horse Shoe Farm for a peaceful retreat that’s close to the action. The World Equestrian Games is a highly anticipated event hosted every four years. During this international championship event, athletes and their horses compete in several core disciplines: dressage, show jumping, eventing, endurance, driving, vaulting and reining. Tryon will join the ranks of impressive cities that have also had the honor of hosting the World Equestrian Games, including Rome, Normandy and Stockholm. Just thirty miles from downtown Tryon is the beautiful Horse Shoe Farm. Breathtaking mountain vistas of the Blue Ridge Mountains surround over 80 acres of our private pastureland. A number of guest homes dot the property, and offer luxury lodging options for large families, quaint couples, and everything in-between. In addition to relaxing in our immaculate houses, there’s lots to do on the farm. Practice your aim at our archery and shooting ranges. Or breathe in the fresh mountain air during a yoga class or afternoon hike along our walking trails. Float down the nearby French Broad River on a paddle board or kayak. The opportunities for fun are limitless when staying at The Horse Shoe Farm. Feed your soul and your family at The Silo Cookhouse, our residential restaurant. Fresh farm-to-table food is served in both our outdoor and indoor dining areas. Or book a personal chef through our concierge services and enjoy a quiet evening in. Board your horse in our immaculate equestrian facilities. In addition to a feed room, wash stall and tack room, we also have fourteen spacious 12′ x 12′ stalls, eight of which are heated. Horses can stretch their legs on 50 acres of fenced pasture, in addition to an outdoor riding ring and field run-ins. 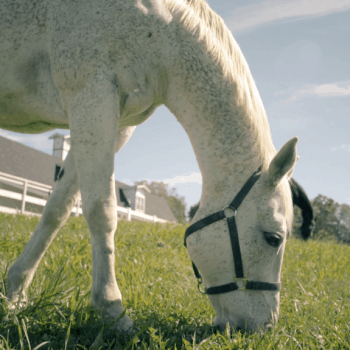 Horses are treated like kings at The Horse Shoe Farm. After taking in the excitement of the World Equestrian Games, come back to the farm and relax on our peaceful property. Instead of elbowing through a crowd for a seat at a crowded Tryon restaurant, take a short walk from your rental to the The Silo Cookhouse. Rather than circling the hotel parking lot searching for a spot, pull up to your private guest house. There’s no need to call management about a rowdy room down the hall when you’re sleeping peacefully in a five-bedroom rental. The choice is easy. If you’re attending the World Equestrian Games, plan on booking your stay at The Horse Shoe Farm.